This budget property is located at Old Road Chulung and maintains 10 rooms to reside in.A Multi cusine fare can be savoured at the in-house restaurant which is open for diners from 7a.m to 10p.m. Guests can also order their meal through the room service facility which is for limited hours. The travel counter assists guests in their travel arrangements and organizes tours of the beautiful city.The property is also maintained with valet parking facility. Travel Counter, Room Service, Baggage Storage on Request, Front Desk, Backup Generator. 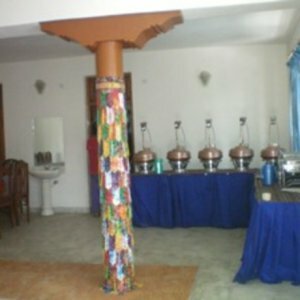 Attached Bathroom, Bottled Water in Room, Television Room, H/C Water, Air Conditioning Room, Cable/Satellite TV, Complimentary Newspaper, Dustbins, Shower Caps, Telephone. User reviews for "Horizon Hotel Leh"